Physics science fair projects are interesting and exciting to perform, as physics is a subject all about the very nature of matter, energy, motion and force. Grasping an understanding physics is useful nearly in every path of life, whether it is base jumping, architecture, driving a car, playing baseball or opening a can. energy, motion and force using the knowledge of the past to acquire knowledge for the future. some ideas have a look below, let it inspire you and use them to get your inner Einstein fired up. What material is the best at absorbing an impact? with a ruler and a moveable block keep moving the block until the bearing just touches it. This will give you your distance. 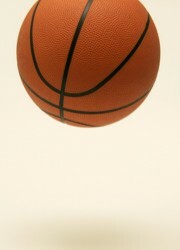 How does a basketball’s pressure affect how it bounces? Pump up a ball so it is at its recommended pressure, this will be your control. Then over inflate it to a safe level and then under inflate it. Drop the ball from your shoulder height and then watch how high it bounces back make sure you record both heights. Then make a conclusion about the results of your physics science fair projects. What is the best insulator? In this experiment you compare how good different materials are at insulating hot water. You will need glass jars all the same thickness and shape. To perform this experiment, wrap all of the jars in the materials that you wish to test and fill them with hot water. Make sure you record the temperature of the water and make sure it’s the same in each jar. Then return in an hour’s time and measure the temperatures and record them. Use an un-insulated jar as your control. Go back from "Physics science fair projects" to home.